Successfully Added H96 Mini+ Android TV Box - S905W,Octa Core CPU, 2GB RAM, Android 7.1, Wi-Fi, 4Kx2K to your Shopping Cart. Say hello to the H96 mINI+ Android TV Box. With its Octa-Core Amlogic S905W CPU, 2GB or RAM and respectable 16GB of storage this TV box has a nice line up of specs. 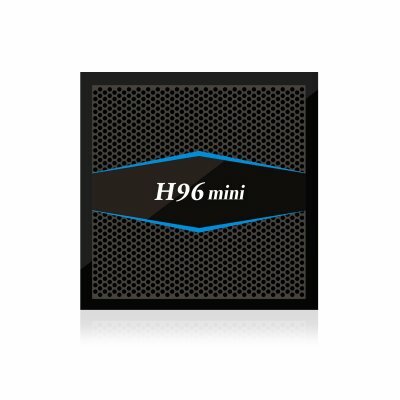 While this may be commonplace with TV boxes these days the H96 Mini+ stills stands out from the crowd as it sports an unusual and very attractive design featuring a recessed band about its middle and a glossy strip across the top. Measuring a mere 100 x 100 x 20mm this compact TV box weighs just 130 grams so can slip into your jacket pocket or bag, giving you a powerful portable PC that can turn just about any screen into a mini PC and entertainment system. The left size of the TV box features 2 full-size USB ports while the right side houses the micro SD card slot enabling you to double the storage to a substantial 32GB. At the rear of the H96Mini+ is the HDMI and AV out ports as well as optical SPDIF for flawless audio and DC in port. With a gigabit Ethernet port and built-in Dual Band Wi-Fi antenna, this mini TV box has fast network access so you can easily stream media and download from the Cloud. This fan-less TV Box brings a commanding performance with its 2.0Ghz CPU and 2GB RAM while a Mali-450P GPU ensures silky smooth graphics so you can play games and watch movies without any interruptions or distracting noise. An Android 7.1 operating system brings good support for a full range of apps making this TV box more than just a media station as with a Bluetooth keyboard and mouse you can use it for just like a mini PC. coming with the Kodi media player pre-installed you'll have great access to the full spectrum of media channels be it sports, movies or documentaries so there'll never be any shortage of things to watch. With 4K resolutions and decoding supported you'll be able to view it all in stunning quality and you'll be ready for the 4K revolution. H96Mini Android TV Box comes with 12 months warranty, brought to you by the leader in electronic devices as well as wholesale TV boxes and media players..